While the Mad Nomads mostly follow the organisational structure of a typical space marine chapter as laid out in the Codex Astartes, there have been significant modifications made to several roles and the command structure. 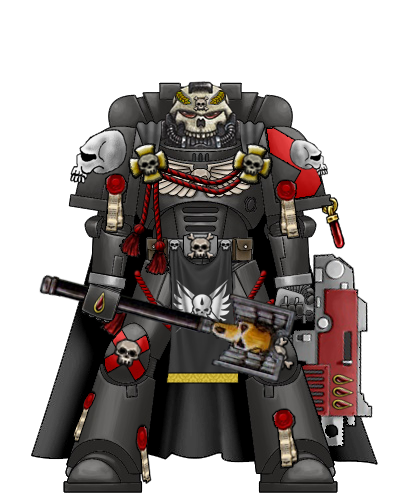 For instance, as Chapter Master, Commander Nomad Darmadeus holds the rank of High Chaplain. The succession of command falls to his four council members in his absence, with the First Captain and First Chaplain guiding the chapter’s tactics and spiritual direction respectively. In addition, the Chief Librarian and a nominated Captain will provide insights in other areas; thus, providing a balance within the council. 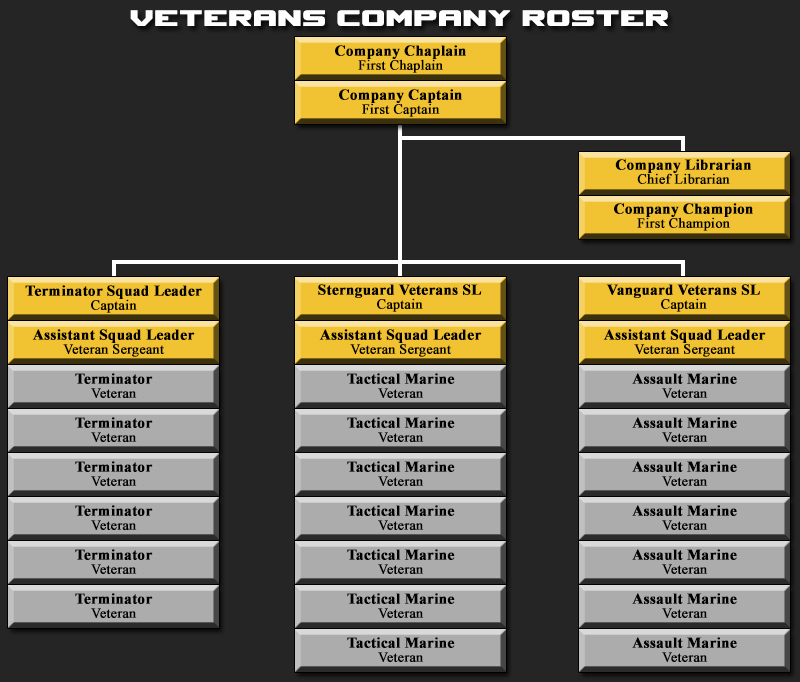 Each of the 10 companies is commanded by a Captain, with a command squad also consisting of a Chaplain, a Librarian, and a Company Champion. 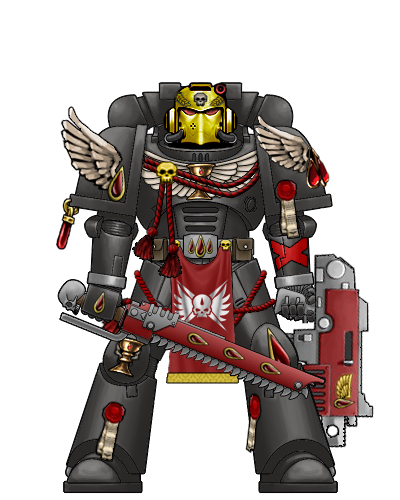 From time to time, the Chapter Master may attach himself to a company to oversee its operations. It is up to his discretion whether he wishes to assume direct control, or merely observe from the Captain’s side. Unlike other chapters, the Company Chaplain does not report to the Captain despite being in his command squad. Instead, his orders come from the Chapter Master through the Reclusiam - with the primary duty of watching the Captain and his marines, and ensuring that they remain untainted. 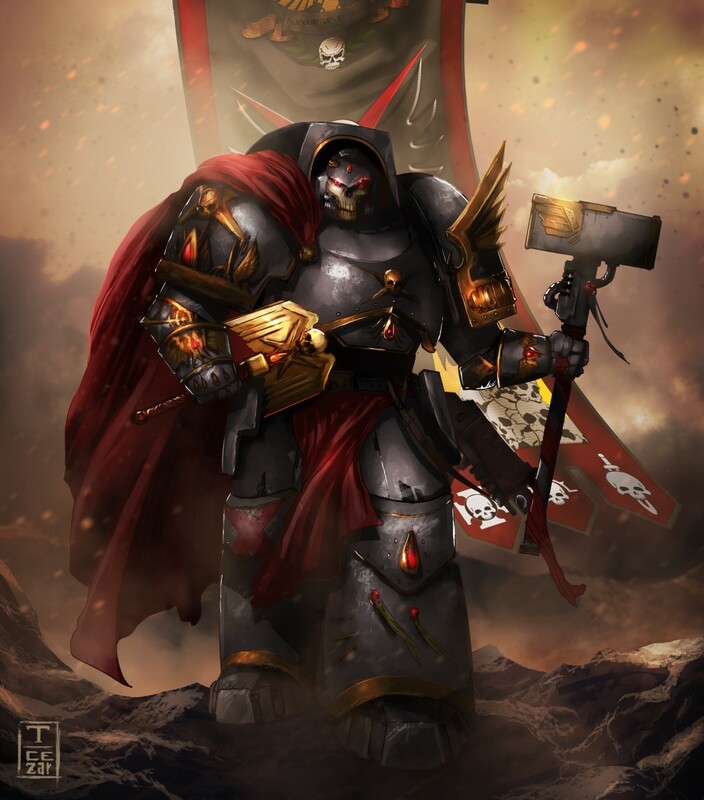 He may remove the Captain from his post in urgent situations if there is irrefutable proof of corruption; but normally, removal requires a written order by the Chapter Master or his Council. The librarian will then assume command. Only the creme of the crop make it to 1st Company. Marines are first required to prove their worth during their service in the regular battle companies before they may be granted veteran status; and only marines with veteran status are allowed to join 1st company. This is applicable to officers, noncommissioned officers, and brother-marines. And as a full-veterans company, members of this sub-unit are held in greater respect over their counterparts from 2nd-10th. 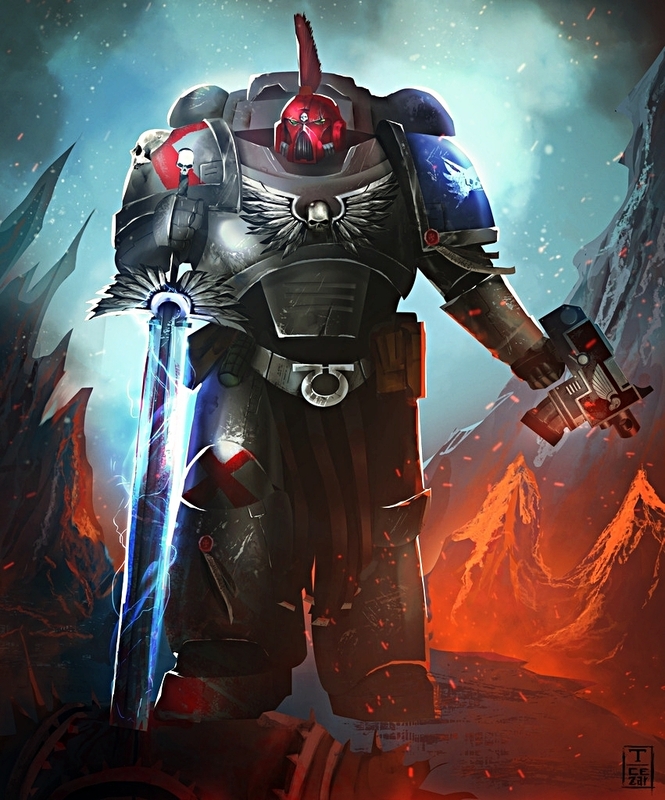 Due to the unique nature of the Mad Nomads - in that its members are Astartes exiled to the prison chapter - the company sizes are typically smaller and capped at 30 marines. The Command Squad consists of a Chaplain and a Captain, who in turn is advised and supported by a Librarian, Company Champion and Veteran Sergeant. A Chaplain sits above the Captain in the chain of command - though mostly in a supervisory role, while the Captain ultimately runs the company..
As per the Codex Astartes, the Captain heads the company - providing strategic leadership (and tactics where necessary) to accomplish the mission objectives. The Librarian, keeper of the company’s records and its most powerful psyker, serves as his lieutenant or assistant, and taking over in his absence. The Company Champion is the senior-most noncommissioned officer in the company. He is in-charge of mentoring and training the company to attain a certain standard of combat effectiveness. The Veteran Sergeant is the enforcer of discipline of the Company. He is in-charge of grooming standards and making sure the Sergeants do their job. 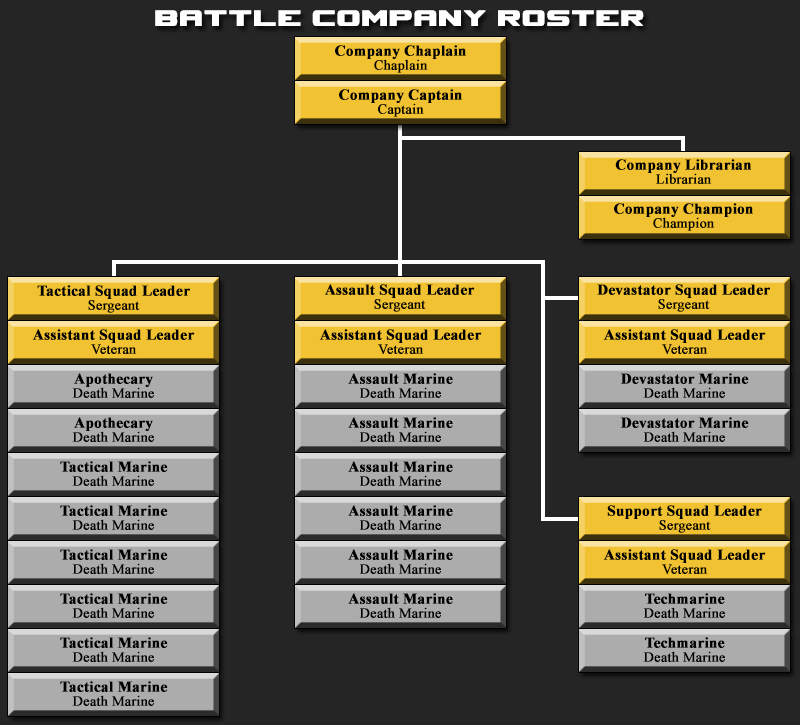 The rest of the company is further subdivided into 3 squads - Death Squad 1, Death Squad 2 and a Hunter-Killer Squad - each of them led by a sergeant. Consists of 3 Tacticals, 2 Devastators, 3 Assault and 2 Apothecaries. A Death Squad can be split into two 5-man fireteams, or teams of 4-3-3 man. It is entirely up to the Sergeant's discretion. The primary purpose of a Death Squad is to capture and hold objectives, and execute counter-attacks to enemy forces. Consists of 5 Marines of ever changing classes. Their primary purpose is to serve as the quick reaction force for the company, attacking and clearing enemy defenses, locating and destroying enemy spawn vehicles and executing distractionary operations. 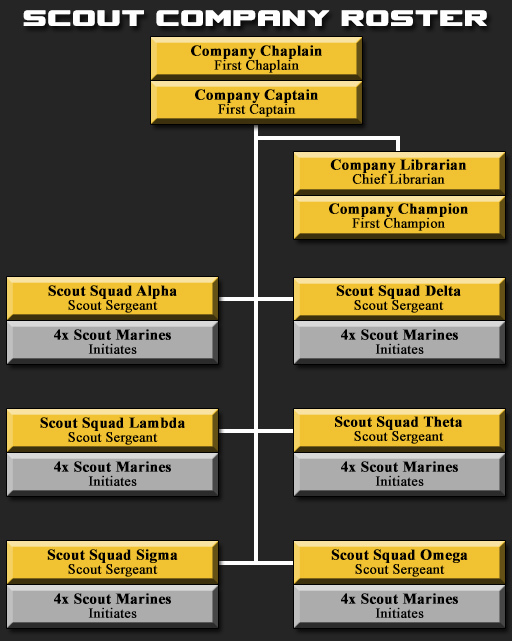 Much like 1st Company, 10th Company has its own distinct mission and structure. As the training and reconnaissance subunit, 10th Company is responsible for inducting new prisoner marines into the chapter. As with other chapters, the marines new to the Mad Nomads will be separated into small 5-man squads under direct supervision of a Sergeant. These marines will then be familiarised with the drills and tactics employed by the chapter, as well as its high leadership appointees. During combat, these squads can and may be detached to support other companies and provide forward reconnaissance for them. Scouts who have proven they are up to standard with the chapter’s practices may be promoted to regular Mad Nomad status, and be assigned to any of the other 8 companies except for 1st company. Those that have demonstrated greater leadership capabilities may be selected to undergo accelerated noncommissioned officer training to promote directly to sergeant. Though extremely rare, some outstanding candidates have the chance to be trained as captains - helming a full company upon completion of training. Inactive and retired members will be assigned to the Reserve Companies. The 6th Company, usually referred to as 'The Old Guards', is where retired members are assigned to. This Company is for members who have served their time in The Mad Nomads, and made an impact towards the community and its members . Newly promoted Death Marines will all be assigned to 7th Company where they are held until a Sergeant picks them to part of his squad. When this happens, the Death Marine will then be reassigned to a squad within an active Battle-Company. Members who do not wish to participate in the more rigorious training shchedule found in Battle-Companies may choose to stay in 7th Company as a 'casual' member. Additionally, members assigned to Battle-Companies who are no longer able to commit to the training schedule will also be shifted back to 7th Company. 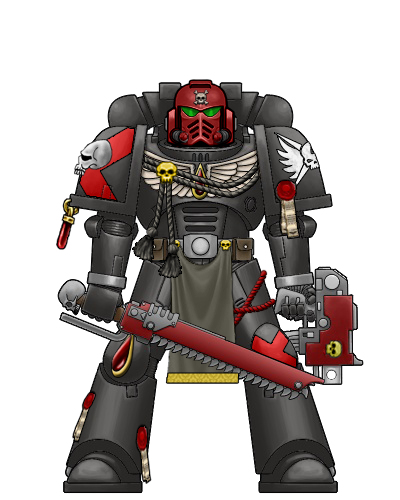 The Chapter Master is the founder of The Mad Nomads. 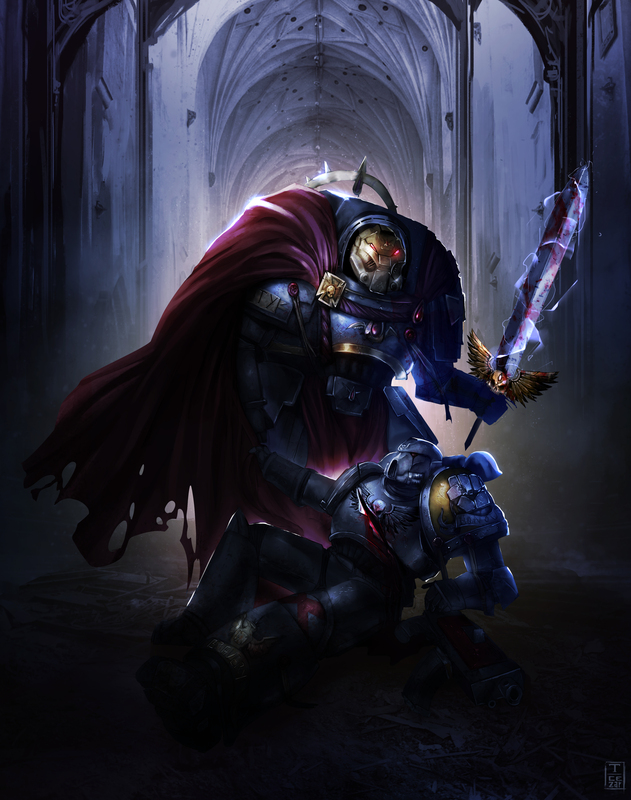 He holds the rank of Commander and High Chaplain, thus also making him The Master of Sanctity. 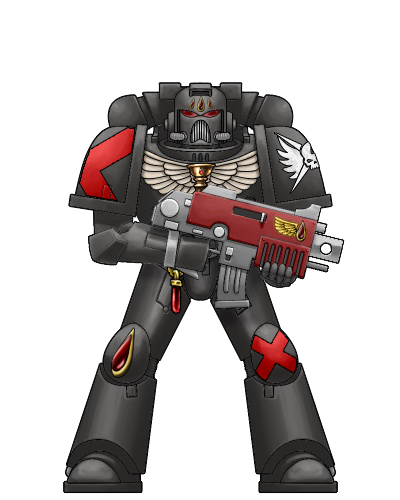 Being a High Chaplain, the Chapter Master is able to make Spiritual decisions for the Chapter. His other duties include setting the Direction, Strategy and Training goals for the company. 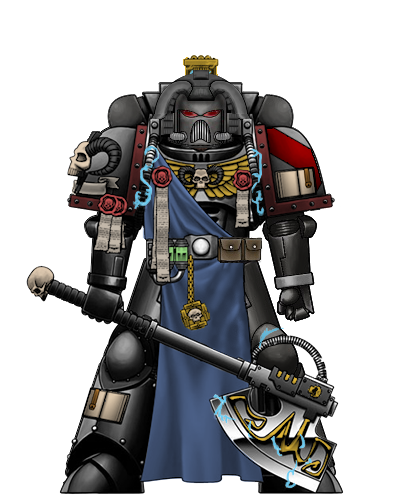 His Council is made up of his most trusted confidants and advisors; whose task is to council and provide useful information to the Chapter Master in order for him to make a more informed decision. 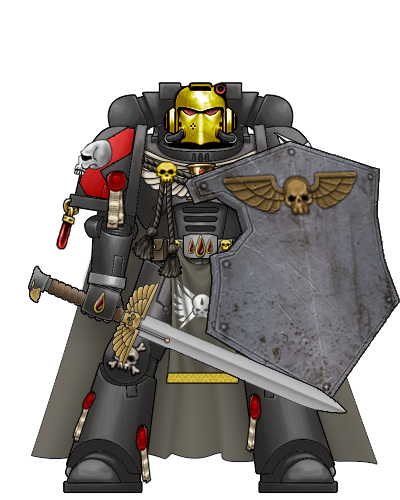 The Chapter Master is also part of the Reclusiam and at times, may sit in for a Reclusiam meeting to discuss about the latest spiritual or heretical developments within the Chapter. 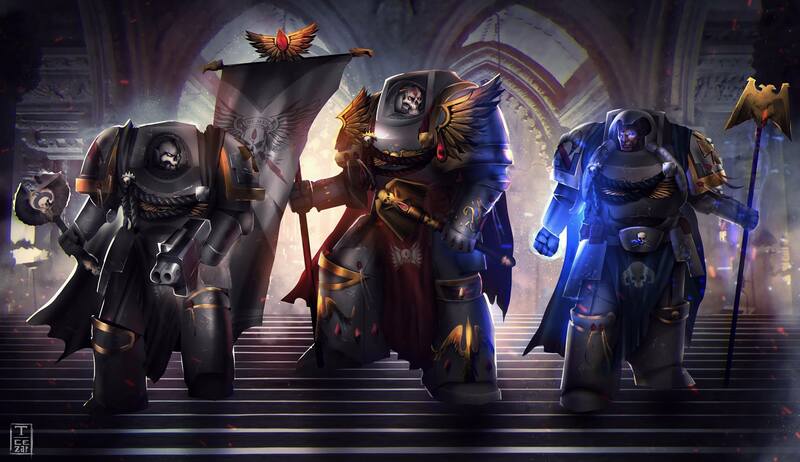 The Chapter Master's Council is made up of four exemplary Astartes: The Head of the Reclusiam, the Master of the Strategium, the Chief Librarian and a nominated battle-company Captain. In the absence of the Chapter Master, the succession of command falls to his four council members, with the First Captain and First Chaplain guiding the chapter’s tactics and spiritual direction respectively. In addition, the Chief Librarian and a nominated Captain will provide insights in other areas; thus, providing a balance within the council. Sound the council be unable to reach a decision due to a tie in voting, they may bring in the First Champion to break that tie. The Company Chaplain is the highest ranking officer in a Battle-Company and holds the Company Commander title. 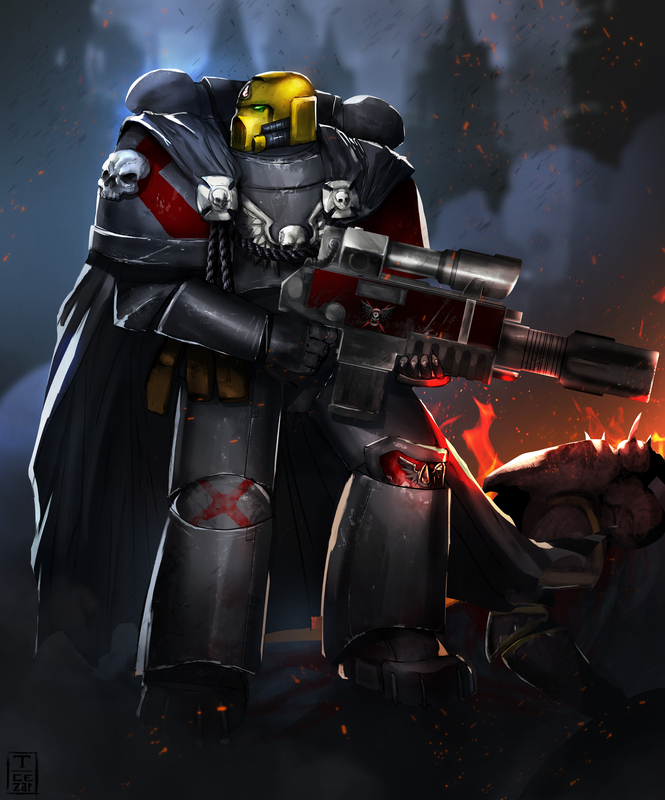 Being incorruptible, Chaplains are given extraordinary responsibilities such as guiding battle-brothers spiritually as well as keeping a close eye on the Company Captains and his subordinates for any traces of heresy. 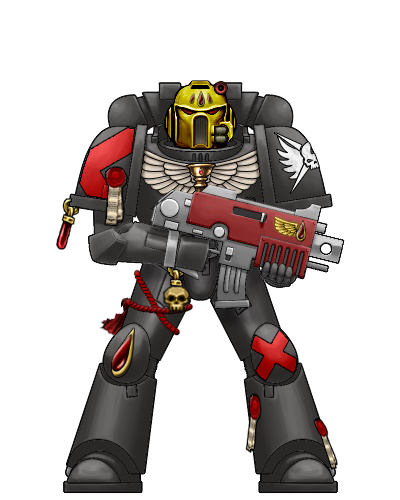 If heresy is found within the Company, the Chaplain may either choose to deal with it himself or to bring it up to the Chapter Master's Council. On rare occasions, Company Chaplains may chose to lead his Company into battle himself. However, they will usually allow Company Captains to conduct combat operations without much intervention. However, a Captain's tactical and/or strategic decision may overruled by Chaplain if the situation calls for it. All Chaplains are part of the Reclusiam - which in our chapter is regarded as the Inner Circle. Company Captains are the Battlefield Commanders of the Chapter. While they are closely supervised by the Company Chaplain, they are usually allowed to conduct their operations without much interference. A Librarian is part of a Company's Command Squad and is the 3rd most senior Officer in the Company on the battlefield. The Librarian takes his orders directly from the Company Captain. It is up to the Captain's discretion where he wants to Librarian attached to - be it the Support/Armor, Tactical, Devastator or Assault Squad. His peacetime duties are essentially of an administrative nature; such as noting down the heroic deeds of a battle-brother and highlighting members who are eligible for a promotion or award. Other duties include reassigning inactive members of a company to a reserve company. Company Champions do not hold any command authority within the company due to the nature of his duties. However, they are highly respected by all other Astartes within the Chapter - including Senior Officers. Company Champions are the best at combat within the Chapter, and the sight of a Champion in battle inspires and boosts the morale of his comrades. The main battlefield duties of a Company Champion is to stick close to the Captain and protect him. This involves engaging enemy Warlords and Champions in single combat, thus, leaving the Captain free to conduct his battlefield duties. Off the battlefield, He is the Administrative Officer of the Company. He is tasked to highlight issues within the Company to the Senior Officers. Issues include morale within the company, problematic individuals, members' promotional eligibility, etc. The Company Champion holds the role of a Training Officer within a Company. This includes coming up with a training course and combat manuals for the company. Veteran Sergeants have fought in thousands of campaigns and has proven himself worthy of command many times in battle. They are, on the whole, Sergeants who have been in battle on more than many occasions, thus having gained sufficient experience to be given the special title. A Veteran Sergeant is the second in command of a 1st Company Veterans Squad. To achieve more complex and challenging tasks, the Veteran Squads will usually split into two smaller Fireteams, one lead by the Captain and the other by the Veteran Sergeant. Sergeants holds the command authority within a Squad in a Battle Company. They are the direct superior of both Veterans and Death Marines and are in charge of making tactical decisions on the battlefield. Orders passed down are usually vague (e.g. Take and Hold Objective A), thus, it is up to the Sergeants to devise a suitable plan to complete his task. This would be the case unless a higher ranking officer is attached to his Squad. Veteran Marines are members who has helped bring The Mad Nomads closer to its goals as a Community and as a Chapter. To advance to “Veteran Marine”, members must have a minimum time served of three months, and within that time frame have shown that they share our Values, Vision and Mission. Upon showing that they posses the right mindset, they must then complete the Advanced Combat Training and Basic Leadership Training Courses. 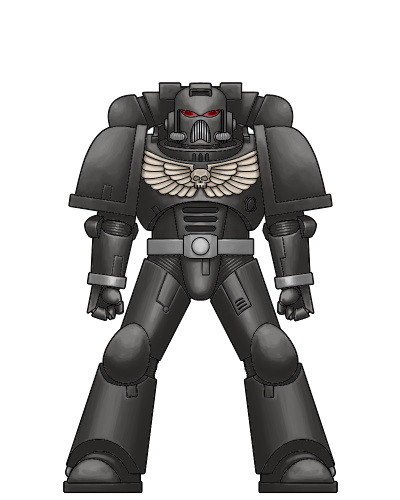 Upon graduating from those courses, they will then be attached to 10th Company where they will take part in the training new Blackshields and take them out to the field from time to time. Upon completing their tour of duty in 10th Company, they will then be awarded the Veteran title. For Veterans who wishes to progress to the rank of Sergeant, they must complete the Advanced Leadership Training Course before being eligible to attend the Basic Squad Leader Training Course. 1st Company Veterans hold no command authority in their squad, however, they are still regarded with an equal level of prestige and honour as a Sergeant. Exceptional 1st Company Veterans may be reassigned to a Battle Company to act as a Squad Sergeant. Veterans in a Battle Company takes on the roles of an Assistant Squad Leader as well as a Fireteam Leader. When the Squad Leader split into smaller fireteams. As a Veteran, Members will get their first taste of leading a small team. The things Members learn at the start as an Initiate and Death Marine will still be applicable as they climb the organisational ladder, there will always be people both above and below them. Death Marines form the bulk of the Chapter and hold no command authority. Within the Chapter we refer to them as a Brother Marine, but to an outsider, they are called Death Marines - A title given to them because of their sentencing to the Chapter. Death Marines are expected to the execute the instructions of their superiors quickly and effectively. If a Death Marine thinks he has a better way to complete and objective, he may respectfully request the permission to make a suggestion to his Sergeant. If granted, he may elaborate on his better method. Backseat leading is something The Mad Nomads does not tolerate. To be a good leader, one must first learn to be a great follower. New Prisoners are assigned to 10th Company as Blackshields for their Probation. Their probation period lasts for 14 days, where they will be trained and initiated into the Chapter. Blackshields are expected to make themselves known to their new brothers during this phase. They can do so by frequently posting on our Website, and frequenting our TeamSpeak 3 channels and Steam Group Chat (lovingly called SteamSpeak). Initiates who passes the probation will be promoted to the rank of Death Marine and will be reassigned to a Battle Company. Initiates who are not active during their probation period will have their training period extended. If by the end of 2 weeks, nobody still knows an Initiate by name, they would have failed their Initiation Phase. Initiates who are deemed to be beyond the point of redemption will be rejected and executed.